This is Rio de Janeiro's anthem. 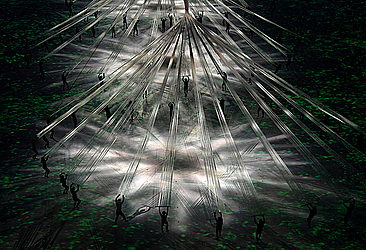 It was used during the closing ceremony of the London 2012 Games, as well. It was composed by Grammy-award winner Gilberto Gil. In the song Gil, sends hugs to different folks from all over Rio, in that way embracing the city and viewers worldwide. Grammy award winner from originally from Salvador in the northeastern state of Bahia. Gil, 74, is one of the main faces of the musical movement called Tropicalia, which consists of international and traditionally Brazilian sounds. Gil was recently hospitalized for kidney problems, and it was unclear if he would be able to perform during the ceremony. The song, composed by Chico Buarque, is considered one of the most ingenious in Brazilian Portuguese. All the verses have a stress on the two syllables before the last. The lyrics tell the story of a builder who dies by falling from a building. Like many Brazilian songs, it also includes a love tale in the middle. Formerly known as MC Beyonce, she is a pop singer of funk melody. Ludimilla first became famous in 2012. In the opening ceremony, she sang "So quero ser feliz,"or "I just want to be happy," from the group Rap Brasil. The song is considered an anthem for residents of Rio's hundreds of slums, often controlled by drug traffickers and ravaged by violence. Known as the queen of samba, Soares is still performing at 79 years old. For decades, she had the most notable voice in Brazilian samba. Pagodinho, 57, is seen by many Brazilians as an icon of "coolness." Despite his fame, he lives a simple life outside Rio, partying a lot playing samba music for friends. Marcelo D2, a 48-year-old hip hop singer, rose to fame in the 1990s with the band Planet Hemp. He has been arrested a handful of times for protesting in support of legalizing marijuana. Ben, 71, is considered the soul of Brazilian funk music. "Pais Tropical," or "Tropical Country," is one of his most popular songs, frequently played in bars and on the radio. He performed the song on Friday night, provoking strong applause from the crowd. He is seen by Rio residents as a symbol of coolness.